Struggling actors accidentally kill their successful friend in a fit of jealous rage. They must put their pettiness aside and act their way out of the macabre mess they've created. 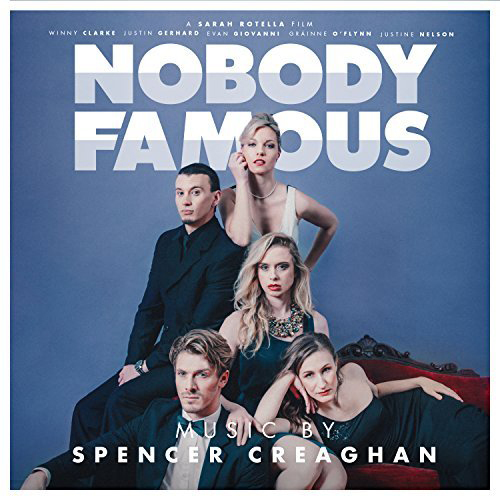 Spencer Creaghan is an Award-winning Film & Modern Media Composer and alumni of the Canadian Film Centre’s prestigious Slaight Family Music Lab. He has written music for countless Feature-length and short Films, along with Plays, acclaimed Webseries, Advertisements, Bumper Logos, Video Games, and a children’s Theme Park. He is most known for his music for the series’ Teenagers and All For One; the thrilling Dark-comedy, Nobody Famous; and the Jean-Claude Van Damme & Dolph Lundgren action thriller Black Water. His music has been heard in festivals around the globe, including the LA Webseries fest, Canada Top 10, Cannes Film Festival, and the Toronto Fringe Festivals. He also provides synth design, production, and programming work as assistant to esteemed Canadian composer Lesley Barber, most recently contributing to the Netflix Romantic Comedy Irreplacable You.